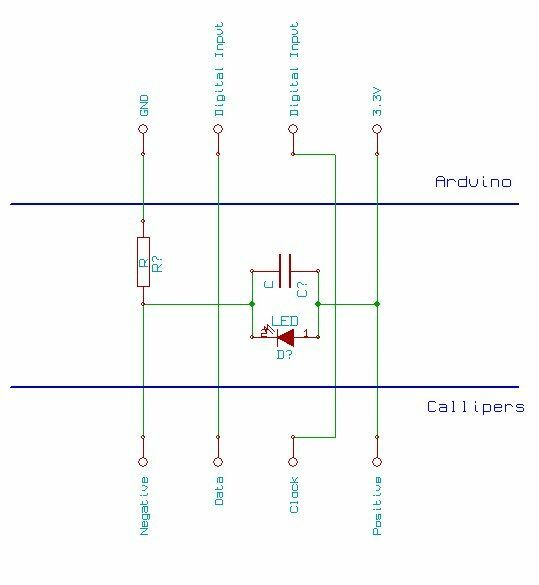 How to use an Arduino to read the signal from a set of digital callipers and send the reading over USB. This might be useful for accurate position sensing in home made / hacked computer aided manufacture systems. Adds USB functionality to your callipers. 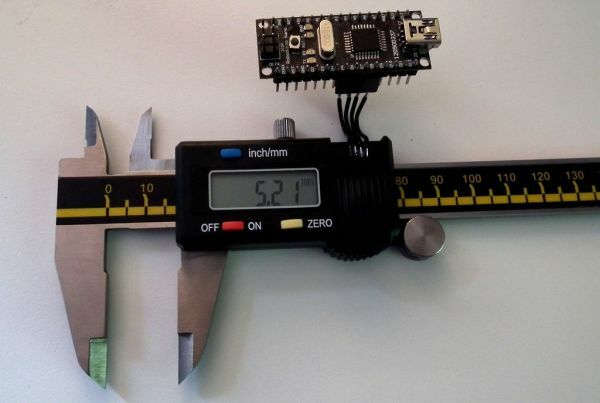 How to use an Arduino to read the callipers (using very few extra components). Details of another protocol found to be in use on some callipers. Basic Arduino code is provided. To see more of my work please visit j44industries. The callipers I have been working with were the Electronic Digital Callipers by Precision Gold. I bought the callipers from Maplin (item code N48AA) in the UK for just under £20. After some experimenting with a multi meter and a jyetech oscilloscope (a very cheap basic oscilloscope that can be bought in kit form for under £40) I found the pins to be as shown in the diagram. My Arduino changed between logic high and logic low at about 2.5V (this could vary a bit between boards). Connecting the positive pin on the callipers to the 3.3V supply means when the clock and data pins are connected to the arduino their voltage seems to vary between 3.3V and 1.8V, which is the Arduino reads as logic high and low respectively. To avoid needing a battery in the callipers the power circuit pictured can be used (remove the button cell). This method relies on using an LED to regulate the supply voltage for the callipers. I used a 10uF which worked well, but there would be no harm in using a larger capacitance. 2V or more rating. For the LED try to find one which has as close to a 1.6V drop across it as possible. I used a red LED with a 1.8V drop across it. Red and IR LEDs tend to have low voltage drops across them. 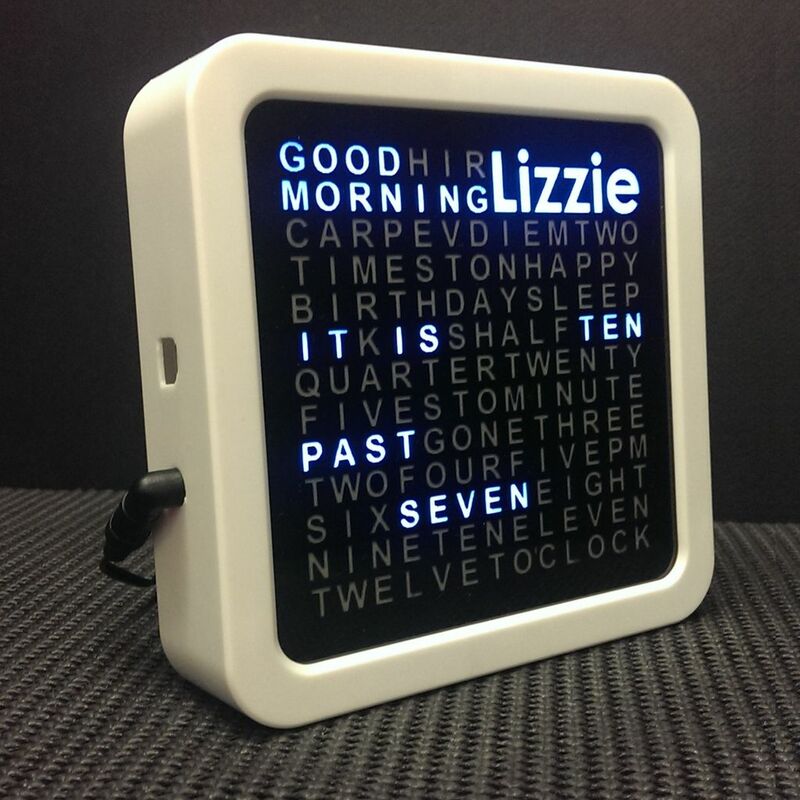 Clock pulse as shown in the picture. Reading the data on a falling clock edge gave a sensible output. ?,X,X,X, X,X,X,X, X,X,X,X, X,X,X,X, ?,?,?,?, ?,Y,?,? X’s for a binary number with least significant bit at the start of the string. The binary number is the distance in mm times 100. Y = Sign bit if Y = 1 number is negative if Y = 0 number is positive. Note: make sure the callipers are set to mm the inches mode behaves very similarly except the least significant bit is used to show 1/2000ths of an inch.